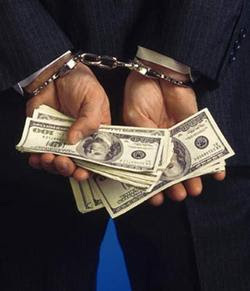 Finally, the SEC caught somebody for obvious insider trading! We applaud the SEC's swift and decisive action. Washington, D.C., Sept. 23, 2009 — The Securities and Exchange Commission today charged Richardson, Texas resident Reza Saleh with insider trading around the public announcement of Dell Inc.'s tender offer for Perot Systems earlier this week. The SEC alleges that Saleh made increasingly large purchases of Perot Systems call options contracts based on material, non-public information that he learned in the course of his employment with, or duties for, two Perot-related private companies and Perot Systems. Immediately following the tender offer announcement on Monday, September 21, Saleh sold all of the call option contracts in the accounts and reaped approximately $8.6 million in illicit profits. Yet, we are glad to see justice served restoring some of our lost faith in the markets.